You can search Teach Starter for resources, just like you can search for websites on a search engine (e.g. Google or Bing). To start a search, enter a keyword (e.g. 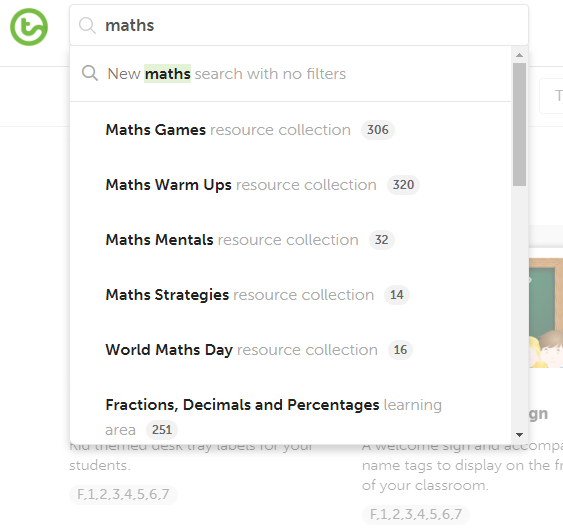 "maths") in the search bar on the Teach Starter homepage and press the enter key (or return key). 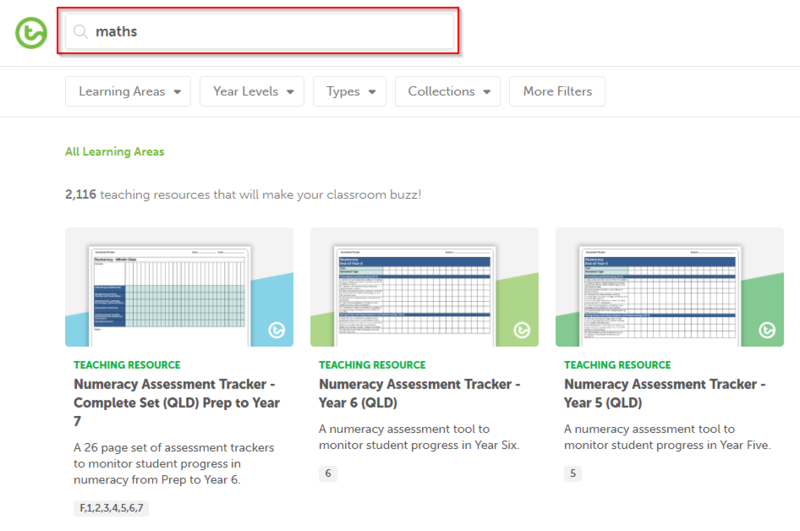 The search bar is also located at the top left of any page on the Teach Starter site. 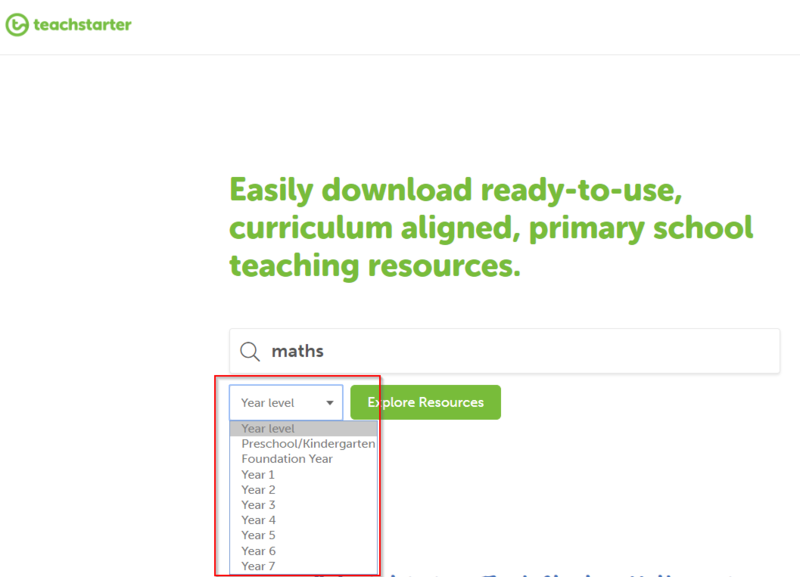 When you start a search on Teach Starter, you can quickly find matching resources with search predictions (suggestions). Our search predictions help you find resources faster by providing related resource collections, learning areas, and curriculum matches (e.g. Australian Curriculum Alignment). Click on any of these options, and our resources will be filtered automatically for you. If you don't see a match, press the enter key (or return key) or click "new <keyword> search with no filters" to view matches to your search term. Our homepage search bar also allows you to select a year level before the search commences, showing you the most relevant resources for your class. Once you have selected your preferred year level, hit the enter key (or return key) or click the Explore Resources button to search. By default, all year levels are displayed when a year level has not been defined.